Arrange your lolly sticks in the shape you want. 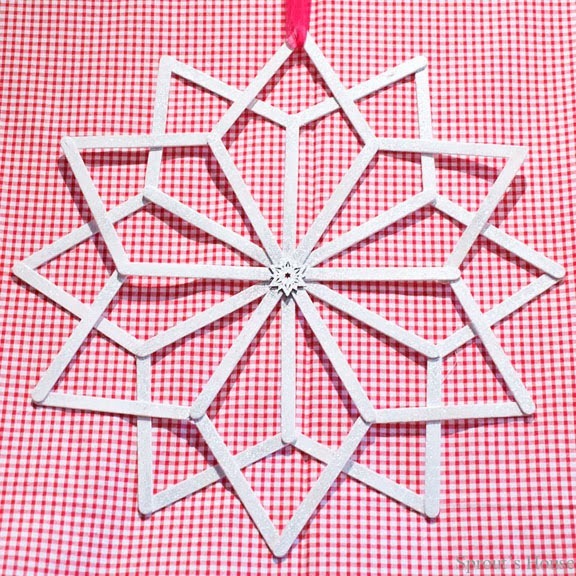 After much experimentation, I decided to make two 6 pointed stars. Carefully glue the lolly sticks together. 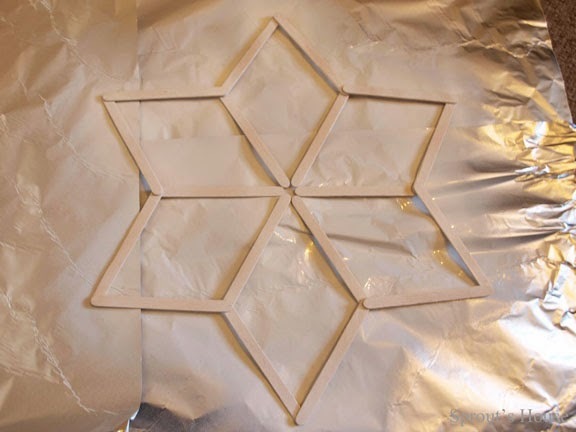 Once the glue has dried paint both sides of your stars white. I used a spray paint as it was much quicker. 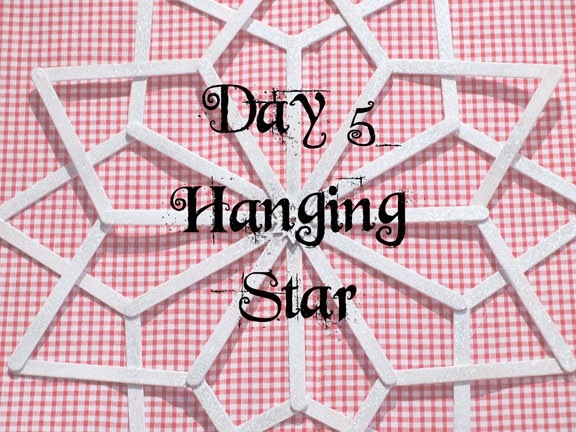 After the paint has dried, place one star on top of the other so that the points sit between each other. Glue together. Spray with glitter spray paint. 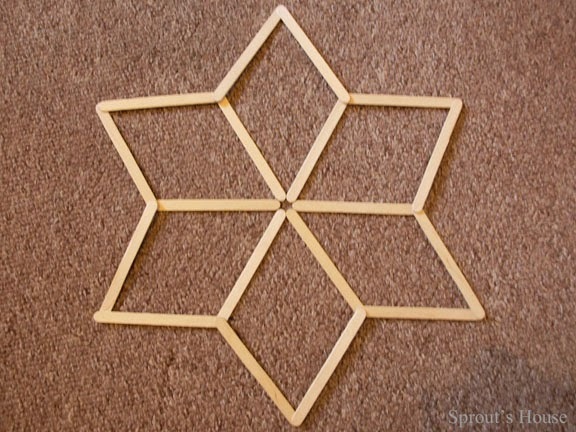 Stick a wooden or paper star in the middle to hide where the lolly sticks meet. 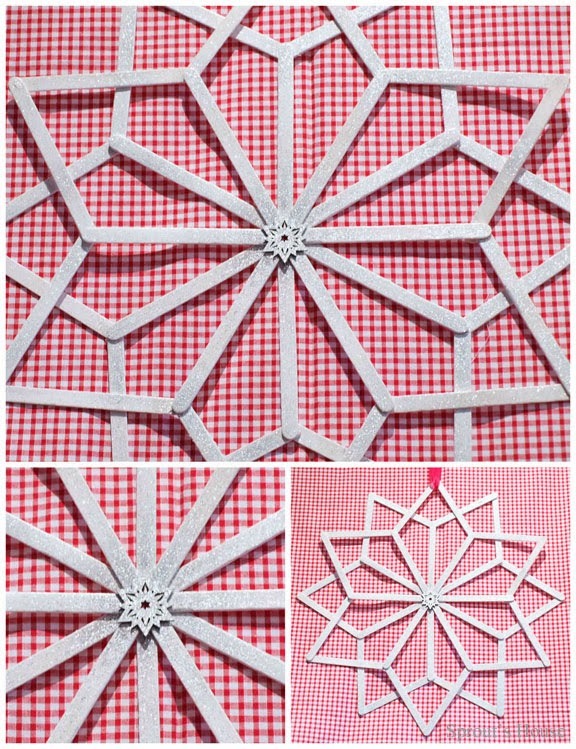 Tie a piece of ribbon to one of the points and hang. Sprout declared that she thought it was pretty - so it’s hanging above her bed! Anyone else made anything out of lolly sticks before?